Live Blood Analysis Darkfield Microscopy Course: What Do Vegans Eat? Aside from curiosity, they sometimes are concerned that a new diet that avoids meat and all animal derivatives whatsoever may not provide enough of a diversified menu. Indeed, if you’re not aware of the many food options available to vegans, it would be very easy to mistakenly believe they exist only on carrots and apples. However, the fortunate reality is that many food options are available to this increasingly popular way of life. A number of ethnic restaurants, including Thai, Indian, and Chinese, now offer vegan options on their menus. Vegan friendly frozen foods can be purchased in almost any grocery store, along with canned, dehydrated soups, and various kinds of stews. More and more people have asked their grocers to offer vegan products and grocers have complied with the request and these foods have started showing up on the aisles of major grocery stores. A word of caution with the prepackaged stuff, just because it’s vegan doesn’t necessarily mean it’s organic or free of GMOs. Make sure to verify that information independently of the foods vegan status, and, as always, avoid soy. There are many vegan friendly foods to choose from so don’t worry, you’ll like at least some of them. Even if you have a sweet tooth and stress about giving up the occasional dessert, I think you’ll be pleasantly surprised at some of the options that await you. People who live in areas with limited grocery options can also participate by ordering vegan friendly foods online. Another common question asks how vegans are able to meet their daily nutritional needs with their “limited” diet. Actually, this is not nearly as much of a challenge as you may think. When you start selecting vegan foods over non-vegan foods it doesn’t necessarily mean you’re eating less or going on a calorie reduction diet, it just means you’re eating vegan foods instead of not, and many people report that this criteria alone cuts a lot of the less healthy foods out of their lives and they have no trouble meeting their nutritional needs. Most vegan friendly foods, especially nuts and simple raw fruits and vegetables are among the most nutrient dense foods available. Vegans often look healthy because of the raw whole foods they put in their bodies, malnourishment is not usually an issue. Think about it, what’s more nutritionally adequate, potato chips or organic almonds? Which is going to provide more health-supporting nourishment, a fizzy cola or fresh citrus juice? Implementing change is simple a matter of decision. Rather than a bag of chips, opt for a handful of almonds. Rather than a soda, have fresh juice, a smoothie, or even just naturally flavored water. Another question we are often asked is “what do vegans eat to get a balance of nutrition?” The answer to this is found in the same quest for food diversity I recommend to all of our readers. 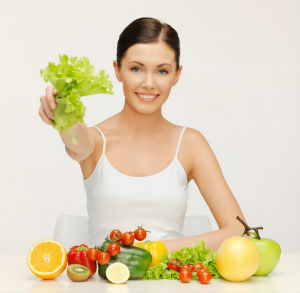 Most vegan diets consist of choices from vegetables, fruits, legumes, and grains; and there are many to choose from. A balance of these will provide all the vital nutrients they body requires. To help you get started, here are 14 foods that cleanse the liver, 6 vegetables high in calcium, and 10 foods that cleanse your body. All these are vegan friendly and will get you off to a very healthy start. The best vegetables are fresh organic, followed by organic frozen if fresh is not available. If you need a consistent go-to, apples are probably the best vegetable anyone can eat, vegan or otherwise. Citrus fruits are good because they help the body with cleansing and detoxification. Breakfast is the best time of day to eat fruit because it helps with the body’s elimination cycle that is vital to optimal health. Perhaps the most common question when you’re starting to look for more vegan foods is what are the best sources of protein? Conventional norms tell us that protein comes from meat and from few other places; fortunately reality is very different and there are plenty of protein sources available to vegans. Peas and beans are among the most enjoyed and, unlike red meat, do NOT put you at risk for increased cholesterol, blood pressure, or cardiovascular trouble. If you haven’t tried vegan black bean tacos yet, put it on your list of things to do sooner than later. Whole grains like brown rice are another option. If you want to get creative and use protein as a raw ingredient, I recommend getting some protein powder. Brown rice protein is a good choice and Sunwarrior makes a great vegan friendly option. I like to make breakfast bars made from blended dates, almonds, and chia seeds. Adding a scoop of protein powder to the mix, before pressing the bars out in a pan, gives an extra protein boost that’s really helpful on mornings after a workout. Is Being a Vegan Expensive? Many people delay changing their eating habits because they’ve heard rumors that eating healthy costs a lot. Let’s face it, this concern has its merits. Many organic food markets fall into more of a boutique category than “for the masses” and have the price tags to match. Organically grown produce does cost a little more in comparison to the inorganic counterparts and certainly organic prepared food often does have a higher price tag than the fast food dollar menu.